How Can Brands Be More Authentic Using Social Media Video Marketing? Facebook Vs. Twitter – Who can generate best ROI for your Business? Would you not jump off your seats if I tell you that global gaming market will soon reach over $120 billion? But more than half of that, the mobile gaming industry is currently worth around $55 billion. But the far more reaching fact is its tremendous forecast of growth in the coming years. With mobile nearly being in everyone’s hand throughout the world, the growth cannot be said uncertainly. In the year 2017 itself, the mobile gaming apps accounted for more than 80% of all the app revenue from Apple’s iOS and Google Play Stores. The availability of mobile phones will super aid the mobile gaming industry to reach a whole new class of gamers. With the development now majorly focused on women, the gaming industry has grown its own wings too. It might also drive up the time spent and play frequency from previously existing demographics. In a way, the gaming development has also changed. Some specific advancements in unlimited data plans, faster processing speeds, and higher quality graphics, as well as a reduction in file sizes, have also played major roles in bringing the mobile gaming industry to the forefront. What are the odds in Mobile gaming industry? The mobile gaming industry has seen a steep rise in the recent years and the rise will continue in the following years also. The global industry is projected to grow by 64.5% between 2017 and 2020. In the year 2020, the revenue might rise to $72.3 billion, a nearly 200% increase in 5 years. The mobile gaming might also dominate the other sector of gaming as it reaches to acquire half the market by 2020. Console games and boxed/downloaded PC games may come to second and third largest portions of the market. They can generate around 26% and 21% of all digital gaming revenue respectively. It generated around $50.4 billion in 2017, $10.5 billion more than Worldwide box office as per Hollywood Reporter. The gaming market also surpassed global tea market which earned $33.3 billion in 2017. The most astounding of the stat was the revenue being slightly below the GDP of Costa Rica ($57.4 billion) in 2016. The mobile gaming industry has been giving a steep competition to the computer and console-based gaming sector and might surpass them by 2025. Which are the Top Grossing Mobile Games in the US? In the United States, the most popular mobile game is Candy Crush. Its original version, the Candy Crush Saga generated $2.2 million in daily revenue or say $819 million each year. Also, it is the highest earning mobile gaming application in America. All its versions including the Candy Crush Soda has become immensely popular in the US. The second best was the strategy games which 33% people love to play. The least popular mobile game was the shooting which only 8% people reported playing. In the year 2017, there were 193 million mobile gamers in the US which is around half of the population. By the year 2020, the number of people playing mobile games might rise to 213 million. Staggering, isn’t it? Currently, 2.1 billion people play mobile games throughout the world with the expectation of the rise to 2.7 billion by 2020. The highest number of players come from China followed by Americans. Today, 63% of mobile gamers are female and 37% are male (Tapjoy). Additionally, of the females who play mobile games, 60% play a mobile game every day. 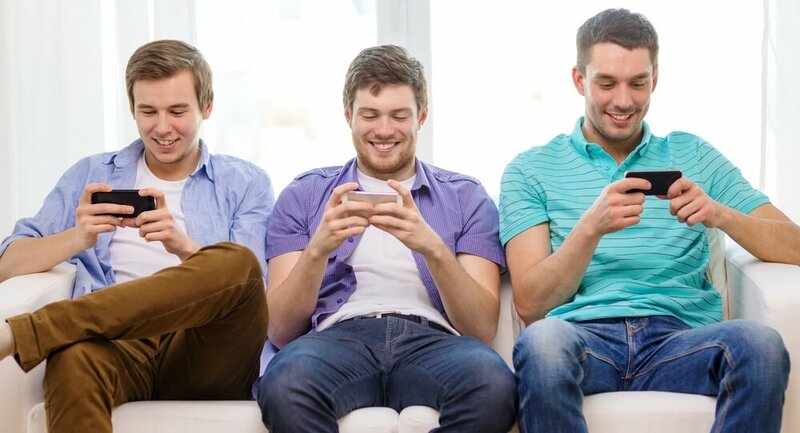 Comparably, only 47% of male mobile gamers play a mobile game every day (eMarketer). Females are also more willing than males to pay for mobile games. As such, Female gamers 31% more valuable than male gamers (Delta DNA). Disclaimer: All Images have original attributions unless otherwise stated so. The Article is an adaptation of the blog published on MediaKix on similar lines. What Elements of Influencer Content Bring Success to Your Campaign?